The Beatles 50 Years Ago Today: May 22, 1967. Beatles Radio: The Beatles, Solos, Covers, Birthdays, News The Fab 4 and More! On May 22nd 1967 it was announced that The Beatles would represent the BBC (and ultimately England) in the World's first worldwide television satellite link-up, to take place on the 25th June. They would be shown working "live" on a new song. At this time in May, the song hadn't even be written ... then just one month later a finished piece that encapsulated the Summer of Love, Flower Power, the entire period, and would be an anthem to the sixties. 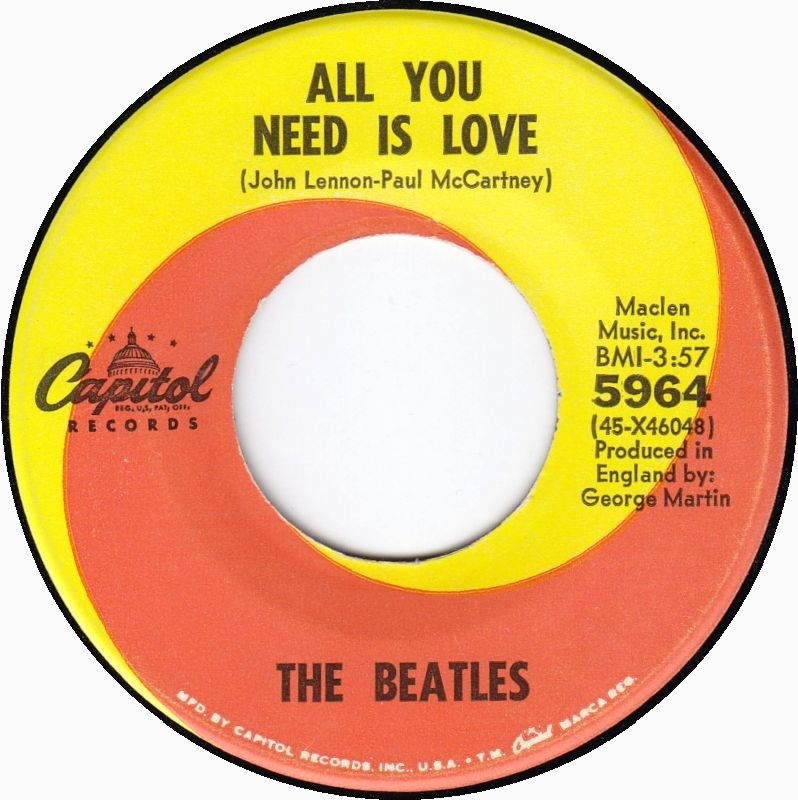 First thing to note on the label, is the very first time George Martin received credit as the producer on a single.